King Tut NYC | Allez, Allie! Caponic Coffinette from the King Tut NYC exhibit, used to hold the liver of the king. 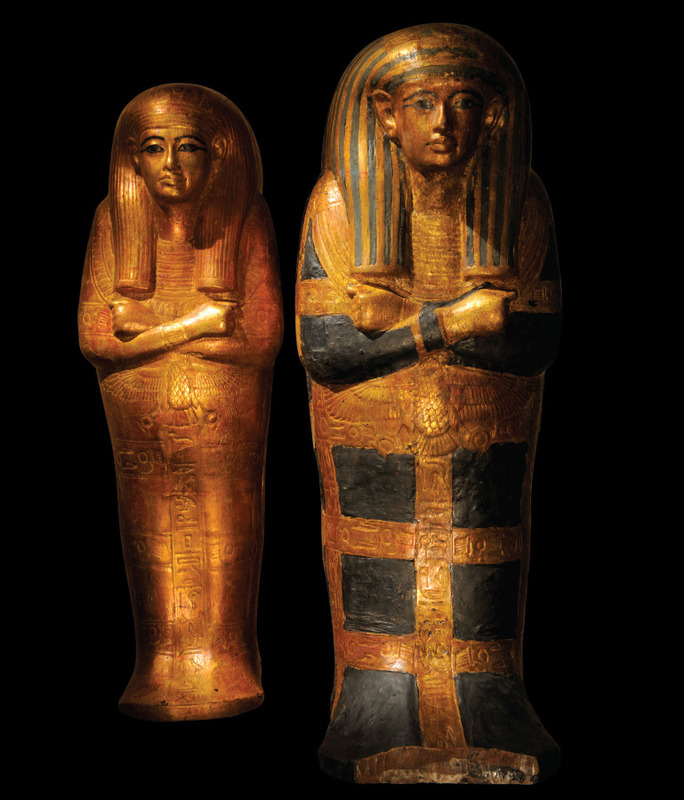 These held the mummified fetuses of Tut's stillborn children. As with anything in the Times Square vortex, drama was high. The exhibit starts with an ominous film before doors open to reveal an illuminated statue. Things got a little less dramatic in the actual exhibit, which unfortunately had some awful hotel carpet and the sort of music I’d imagine hearing in an Egypt computer game from the 90s. Out of the about 130 artifacts in the exhibit, 50 are from the tomb of Tutankhamen (over 5,000 were found in the tomb when it was opened in the 1920s). The rest are from his family, which luckily for any exhibit organizer means more glories of the Egyptian past. Unfortunately for Tutankhamen, this means he is directly compared to his father Akhenaten, a strong leader who turned Egypt into a monotheistic society centered around the sun disk Aten. His section of the exhibit, dominated by his distinctive sandstone face, along with a carving of the sun disk, was the most interesting for me. And with Akhenaten’s angular, almost alien features and the UFO resemblance of the sun disk, well, you see where I could go with this. 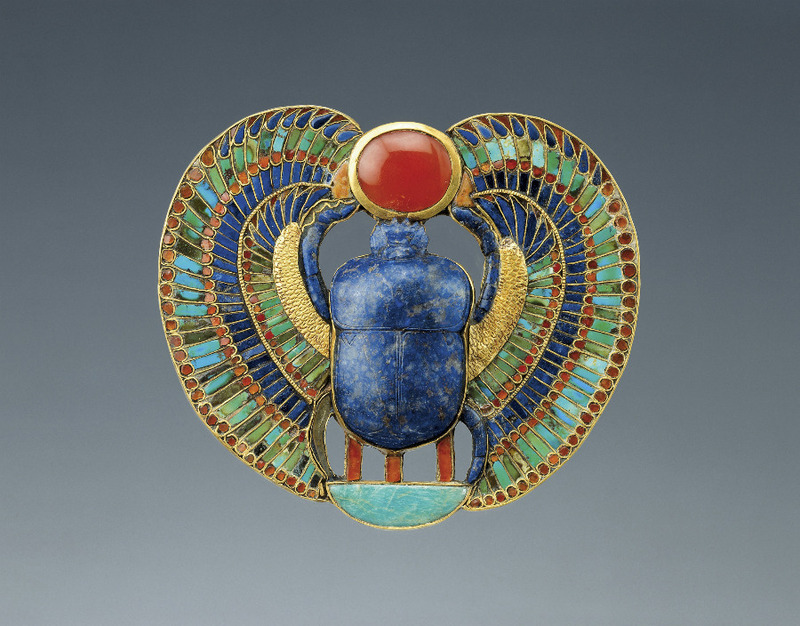 Scarab ornament, holding the rising sun. One interesting thing i discovered through the exhibit was the shabtis, basically little statue people you take with you to the afterlife to do your manual labor. How depressing that in the afterlife you still have to do harvesting and ploughing. What if you don’t do your afterlife labor? Do you get sent back to the land of the living? Is it one awful manual labor-focused cycle until you have built enough clay people to have a good harvest? Anyway, this solves the mystery of all these little statues that I saw in the Vatican Museum. I need to start crafting my shabtis now, or Osiris will be angry. 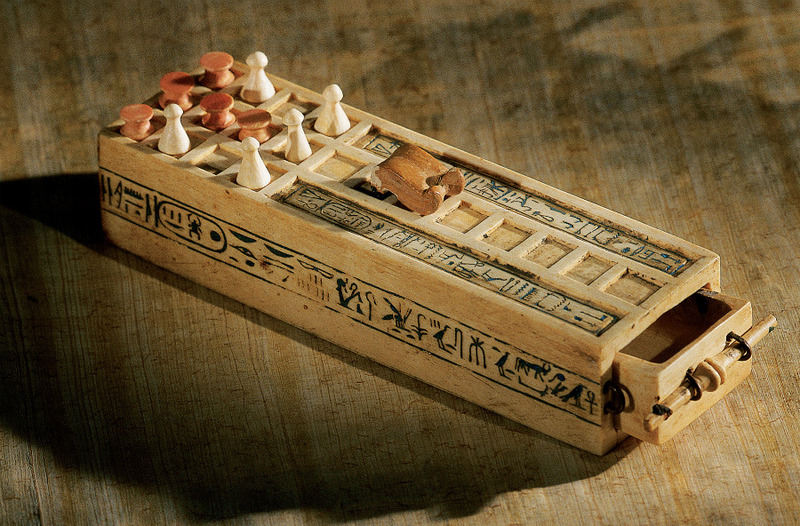 Game from King Tut's tomb. As most Egyptian artifacts are from tombs, death and immortality always end up as the theme of the exhibit. This one even had a wax reproduction of King Tut’s mummy, along with an analysis of his living health and what potentially killed him. It turns out he suffered from a bad foot, which may be why there were over 100 canes and walking sticks found in his tomb. I especially liked the photographs of the tomb when it was first opened, when the artifacts were just piled up like in someone’s storage unit. There was also an old news reel of its discovery, and it was an interesting perspective to see artifacts both in the black and white past and the hypercolored exhibit present. In the end, all Egypt exhibits lead to your own thoughts on the afterlife. When you see Tut’s body stretched out under glass (even if it is a replica), frail and blackened with skin pulled back from teeth, all the gold and regal ornamentation that was put over this slim body seems like a desperate shoveling against the doom of mortality. 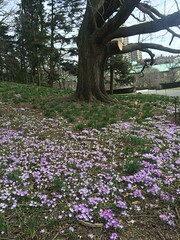 I see the same thing in my neighborhood’s Green-Wood Cemetery, where giant ornate tombs and monuments beg you to remember. 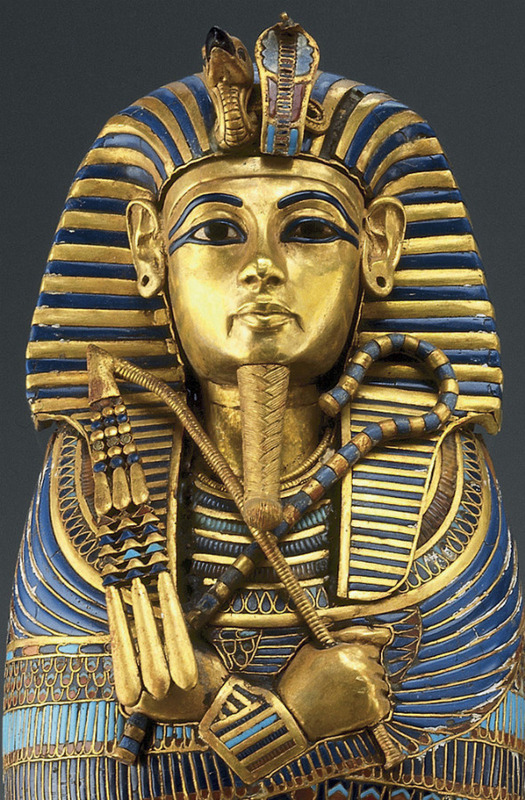 I guess for King Tut we definitely remember, but the individual who died before his 20s is almost inconsequential. I believe the exhibits in the Tut exhibit are not authentic, I think they are reproductions. It doesn’t really matter except that I am so curious now. You see, what caught my attention was the flaws, chips and missing pieces, not cracks or other imperfections. Why would they be in the tombs if they were damaged? If they were not damaged before the tombs were opened, what happened to these treasures after the excavation? If it did happen after the excavation, what happened to the missing pieces? I only saw one piece put back on one statue. 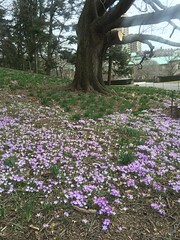 If you have any thoughts on the subject I would appreciate your insights.